Everyone loves a brat served hot off Johnsonville’s 18-wheeler grill. 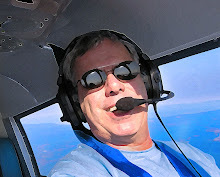 But for restaurant recommendations off the show grounds, Airplanista Magazine called on EAA’s Chief Photographer, Jim Koepnick, who lives in Oshkosh, to give us proper direction. While EAA AirVenture offers a wide variety of food vendors to satisfy your appetite while on the convention grounds, visitors to AirVenture each have their favorite local favorites. Including me. 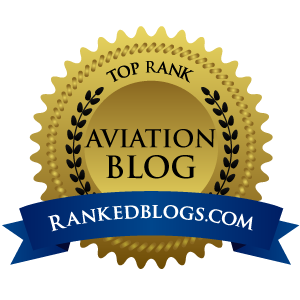 The top two places that come to mind seem to be favorites with all my AirVenture friends. When in Oshkosh, you have to visit Ardy and Ed’s and Leon’s. Both are drive-ins...both with a 50s theme. Ardy and Ed’s drive-in, on the corner of South Main and 24th Avenue, is a classic with roller-skating car hops. 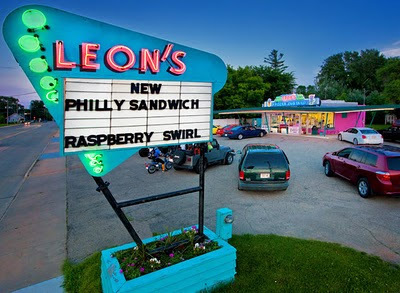 Leon’s, just off North Main at the intersection with Murdock doesn’t feature the roller skates, but does have car hops dressed in Poodle Skirts. Which to choose? The decisions only get more difficult..Ardy and Ed’s has hand-packed ice cream while Leon’s has soft-serve custard. The best answer, of course, is to try both and decide for yourself. Now that we’ve eaten dessert first, on to the main course. What else tops my list of Oshkosh favorites? One place has to be the Roxy Supper Club (571 N. Main Street). It’s been around since I was a kid and has been a mainstay for dining in downtown. If you want to accent your meal with a true Wisconsin delicacy, ask for a “side o’ Perch” as our friends from Canon do each time they visit. You can’t get more Wisconsin than that. Want a little more ambience with your meal? Fratello’s (1501 Arboretum Drive) and Becket’s (1 City Center), both along the Fox River, are favorites for an upscale meal with great atmosphere. Fratello’s is a wonderful place to get together at the outdoor tiki bar, and I love the homemade potato chips. When at Becket’s, forget the french fries...go for the potato croquettes when you order another Wisconsin tasty treat like Walleye Pike. Another favorite on the west side of town is Kodiak Jack’s (2059 Witzel Avenue). Huge bar, great salad bar, and more stuffed animals on the wall than you can imagine in one spot! Looking for something a little more casual., and a little less “fast food”? The Chalice (1741 N. Main St.) started out being a popular “secret” in Oshkosh. I say secret because for years there wasn’t even a sign telling you it where it was. It’s fame spread only by word of mouth. There is a sign outside now so you can’t miss it. My favorite is the omelette sandwich, but all the sandwiches are not only great, but huge. It’s sister restaurant, Pilora’s (910 N. Main) is a quiet little haven from the hustle of a day at AirVenture. They also have some of the best salads in town (chicken salad with grapes!). Bar menus are also a popular way to enjoy the taste of Oshkosh, as they serve up some trademark specialties. The chili dogs at the Trail’s End bar on Merritt and Broad are legendary. People have been known to have them shipped home so they can enjoy them long after AirVenture is over. Another favorite, within walking distance from the North 40 camping area on AirVenture grounds, is Friar Tucks. It’s dark, quiet and friendly...and serves up huge hamburgers as well as another Wisconsin favorite...fried cheese curds. Lara’s Tortilla Flats (715 N. Main Street) is always a favorite for Mexican food. It started as a little “hole in the wall” restaurant in the 80’s and has grown into a new building with great food and ambience. South of the Border (800 Oregon Street) is another favorite, as is Durango’s (2070 S. Koeller Street). A quest for great food in Oshkosh would not be complete without pizza. Just north of the airport is West End Pizza (1414 West 20th Avenue), another year-round favorite of the EAA crowd. Like your pizza with really thin crust? Then Cranky Pat’s (100 N. Main Street) has the best in town. These are only a few of my favorite Oshkosh eateries. Each unique and each sharing a little bit of Wisconsin and Oshkosh to air show visitors. When you ask about favorite Oshkosh restaurants, everyone has an opinion. “Don’t forget Robbins...or Brooklyn...or Vitales...or Primo”. And that’s just in Oshkosh. There’s also Horan’s in Omro, the Fin and Feather in Winneconne and Bill and Stell’s, where you can get the best Wisconsin fish fry in the little town of Eureka. Part of the fun is exploring the local places and finding your own favorite. While all of these are favorites, I will also add that you can usually find me, along with a special group of local photographers, enjoying the soup and sandwiches at Planet Perk (100 City Center). Perk offers not only great coffee but great sandwiches and a quiet place to talk or read...just in case you need a short break from the sound of airplanes.